I recently bought some keywords through a service that uses Market Samurai. I chose 3 that were between 2 - 3 words long. Got that taken care of and now have to work on optimization. Thanks for this info! I disagree. 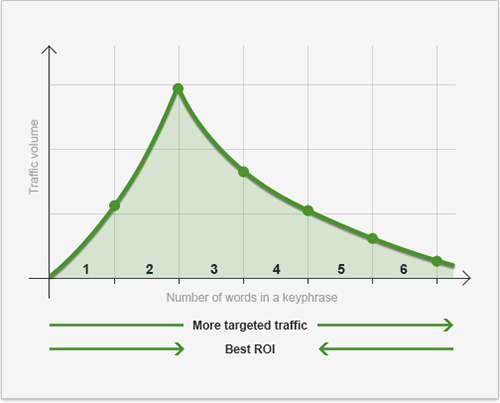 By using the Google Keyword Tool, you can identify easily which long-tail keywords are receiving enough traffic to make them worth optimizing for. It's for this reason that there's no need to limit yourself to phrases with only two or three words in them. Google Analytics and Google Webmaster Tools can show you what keyphrases people used that resulted in traffic to your site and which generated clicks, but only you will know if that traffic converted. What exactly is not clear? Please give some more details. 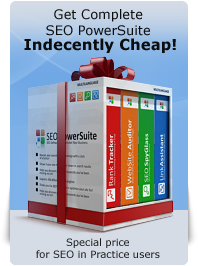 i did lot of searching for learning SEO..but its one in only.. Above all, I would like to say thanks first to write such a wonderful book. I also want to thank you for sharing your knowledge and experiences with us. Sir, I have a great confusion about Pay Per Click and SEO. How they are different from each other? Even i read the initial introduction and Ch.1 but still i am not able to clear. Can you explain it again for me in more simple way? I have also doubt about ROI. is it possible to calculate in monetary term for any advertisement which displayed on goggle ad word, banner or any other tool of digital marketing. PPC puts a link to your site to the ad section of Google's results page. Once you stop paying your site disappears from there. SEO gradually brings you up in the organic results section, nd you stay there for a long time. Update: I used Website Auditor to analyze my home page. Made a few or the recommended changes to my meta keywords and description, title, and added one phrase to my header. Moved up 14 spots on google and 12 on yahoo by the next day! Nice :) Keep up the great work. Nice start, looking forward to many more pages. One thing,I believe you should only use keywords that are in your Copy,Is this the correct thinking on this? Not exactly. 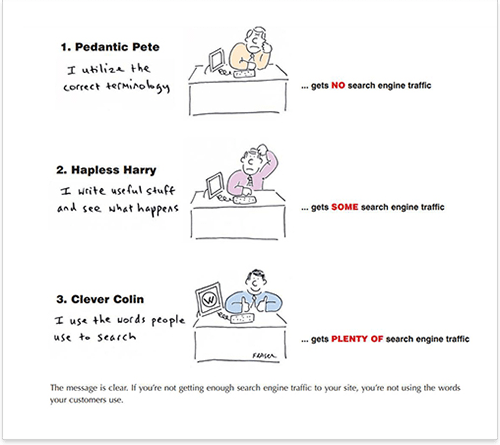 You should choose your keywords first, then write the copy optimized for these keywords. Then also use these keywords in anchor texts of incoming links. Read on and you will understand what I am talking about. This has to be one of the greatest online resources I have found in s while. I'll be passing this to others.